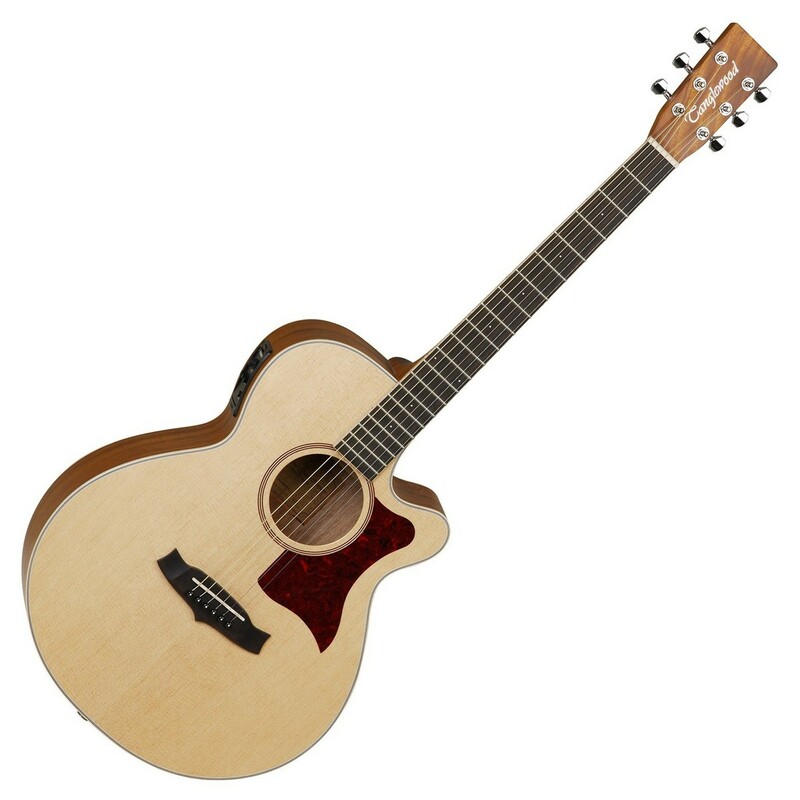 The Tanglewood TW45 OP E Sundance Pro Electro Acoustic Guitar features a mixture of quality timbers, the iconic super folk body, and built-in Fishman electronics, making the Sundance Pro perfect for performing musicians. With a solid sitka spruce and African mahogany construction, the Sundance Pro delivers a crisp and articulate tone with broad dynamics and a rich resonant warmth with a punchy mid-range. Its mixture of tonewoods is able to accommodate many different genres and playing styles with ease. Additionally, its iconic super folk body is perfect for those fingerpicking players that craves a little more volume and projection than the standard, more compact folk guitars. The super folk body also provides a comfortable playing experience and features a cutaway profile not only for added comfort, but for easy access to upper frets which puts challenging chords within easier reach. With a natural satin open pore finish, chrome grover style machineheads and a classy-looking pickguard, the Tanglewood TW45 OP E Sundance Pro is ideal for stage performance. 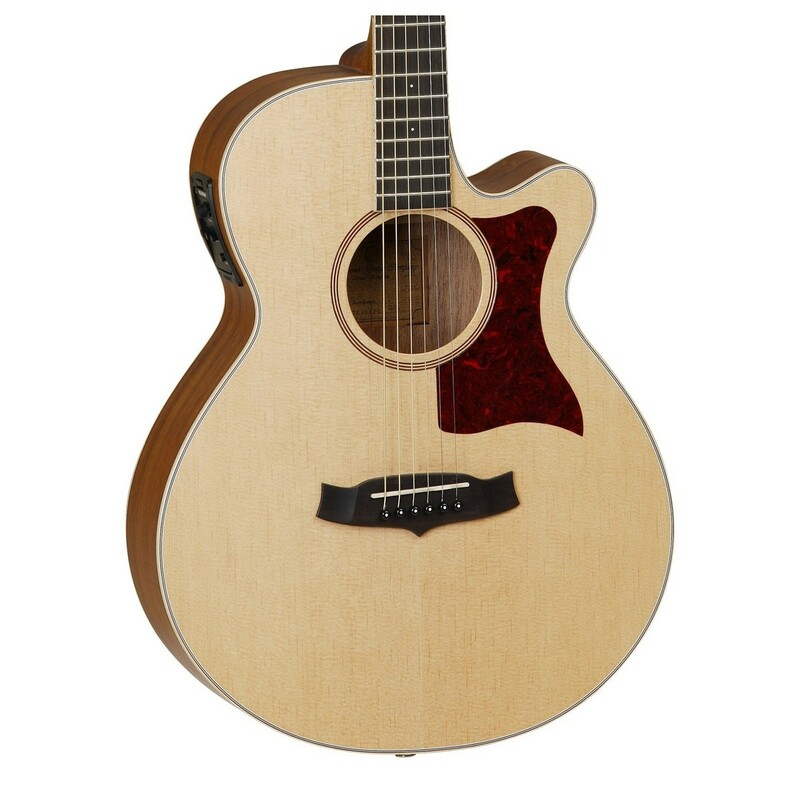 The Tanglewood Sundance Pro features a solid sitka spruce top that yields a crisp articulation and delivers a broad dynamic range, offering a versatile sound for players of any style. Its solid top has a clear and loud characteristic and is able to handle light fingerpicking to more aggressive strumming patterns with ease. The versatile solid top is coupled with African mahogany back and sides, delivering a woody, punchy characteristic with plenty of distinct warmth and resonance. African mahogany's natural and unique dampening qualities create tonal balance with a crisp, strong fundamental. Constructed from mahogany the Sundance Pro's neck adds extra warmth and resonance to the overall sound. Its mahogany neck wood responds greatly to numerous playing styles and techniques with ease. The neck is topped with a rosewood fingerboard that adds a sonic warmth with a hint of bright-sparkle to the overall sound. In addition, its rosewood fingerboard also offers players a smooth and energetic playing experience. The Tanglewood Sundance Pro features one of Tanglewood's most iconic body shapes, the Super Folk. Tanglewood began by shaping the guitar to specs of the modern industry for great playability, players can now appreciate the well-crafted super folk cutaway. The shape was first introduced over 25 years ago on their award winning TW45 Sundance Pro guitar. The super folk cutaway body has become a must have among folk players because it's a bigger version of traditional folk guitars, offering more volume and projection within a comfortable shape. 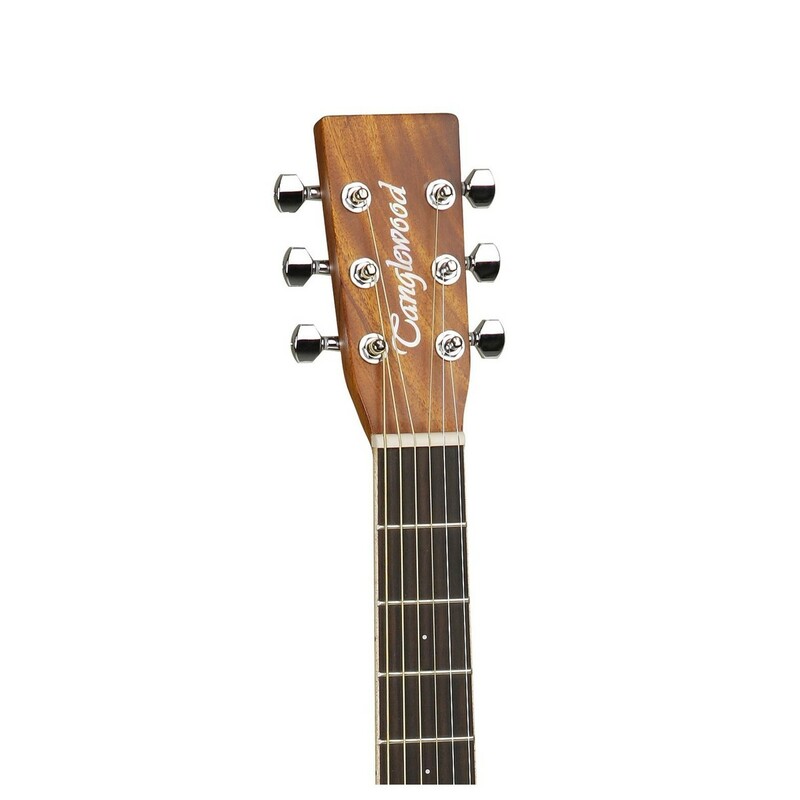 The cutaway design enables players to reach more challenging chords with ease. The Tanglewood Sundance Pro features a Fishman Presys preamp system, built-in with the added convenience of an on-board tuner. The preamp features rotary controls for volume, bass, middle, and treble, enabling players to tweak their sound for the purpose of live and rehearsal environments. In addition, the preamp features a phase button to help reduce undesirable feedback within live settings.